Nowadays, progressive lenses are the most popular eyeglass answer to presbyopia (the progressive loss of focusing power that causes blurring of near objects, usually noticed in the mid-forties). Progressive lenses allow for clear vision at all distances by means of the wearer directing their gaze through different areas of the lens. The top area of progressive lenses is for distance, and is generally the widest area of the lens so distance vision will not be compromised during driving or other outdoor activities. 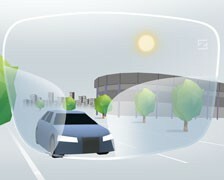 As the wearer directs their gaze lower through Progressive lenses, additional power is added so the wearer is able to see objects in intermediate and near distances. This “progression” from distance, in the top of the lens, to near at the bottom of the lens, is why we call these progressive lenses. As a side-effect of the process of creating a lens that changes power throughout the lens, all progressive lenses will have a corridor of clear vision with some distortion to the sides. 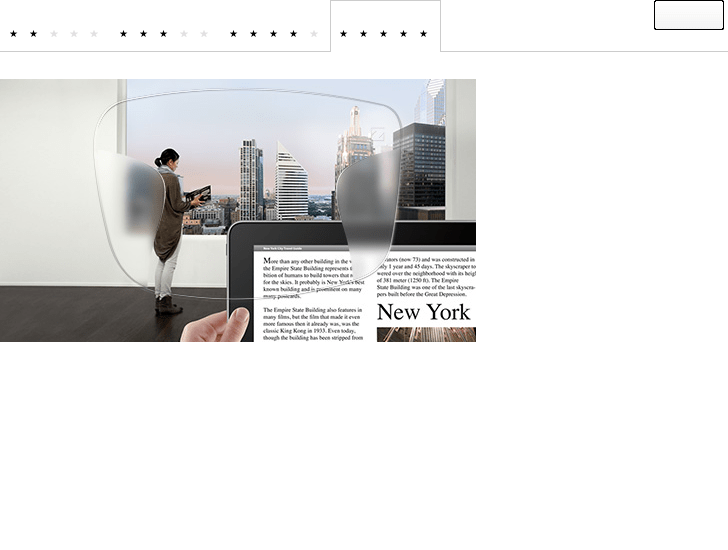 Higher quality and well-fit progressive lenses will have this distortion minimized so the wearer will have a wide corridor of clear vision as in the top photo above. Lower quality or poorly-fit progressive lenses will have a narrower corridor so the wearer ends up having to literally point there nose at what they want to see so as to stay within the corridor, as any movement of the eyes will result in a distorted image. Because of the amount of optics that go into the design and fitting of progressive lenses, the quality of the design and the precision in the fitting of progressive lenses is more important than in any other type. To ensure good vision and comfort we will take a number of precise measurements when you visit our office. First, we measure the parameters of the frame you have chosen including the height, length, bridge, and frame wrap. This is in order to select the type of progressive design that will work best for the frame you have selected as even the best designed progressive lenses won’t give you the full effect if they are not in a frame suitable for the selected design. The distance between your pupils is then measured at various points (note that the distance between your eyes changes as your eyes get closer together as you look at something close up). This is to create a map of how your eyes track when you change focus from near to far so we can match the corridor of clearest vision to the movement of your eyes. The vertical height of your eye in the frame is also measured at this time to center the optical center of the progressive lenses with your optical axis. The vertical tilt of the progressive lenses in your frame is measured so we can account for the change in optical power necessary to compensate for the tilt of the progressive lenses. This tilt is called pantoscopic tilt or retroscopic tilt. 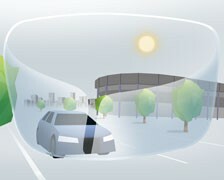 The back vertex distance of the lens tells us how far the lens is from the surface of your eye. This is necessary to know because the power of a lens changes depending on how far it is from your eye (as anyone who has slid there glasses down their nose to see better at near knows).